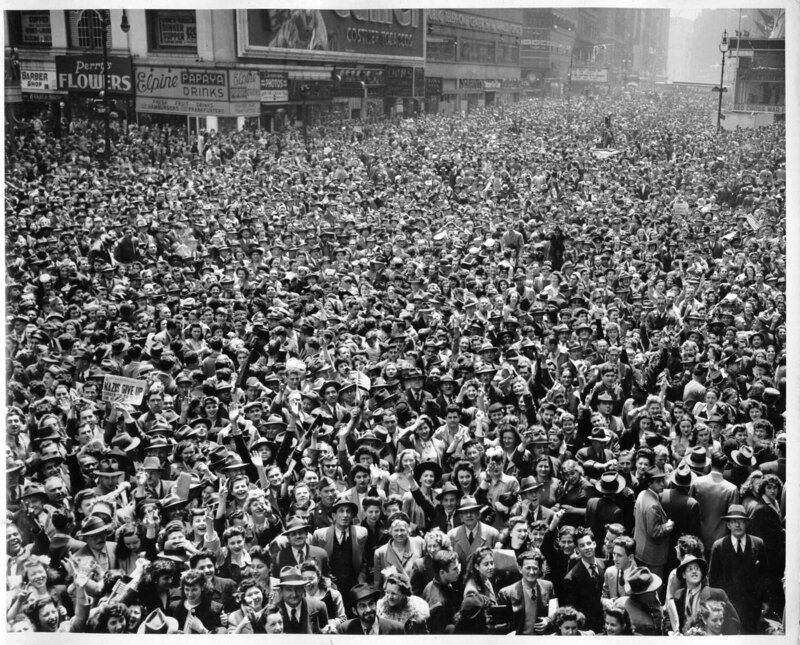 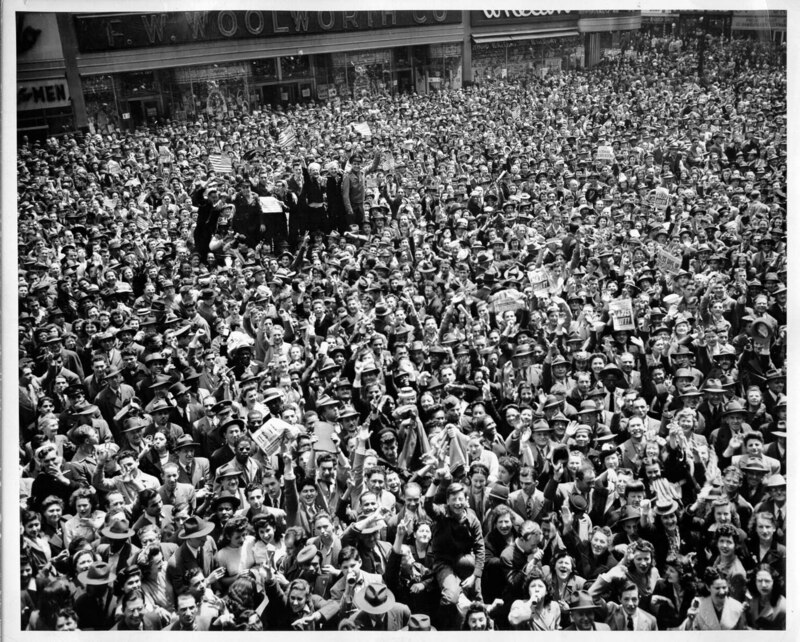 Here are some scanned photographs from May 8, 1945, showing huge crowds of people filling the streets of New York City celebrating V-E Day. These reportedly were US Coast Guard photographs; the originals belong to my grandfather, who served in the USCG at the time. 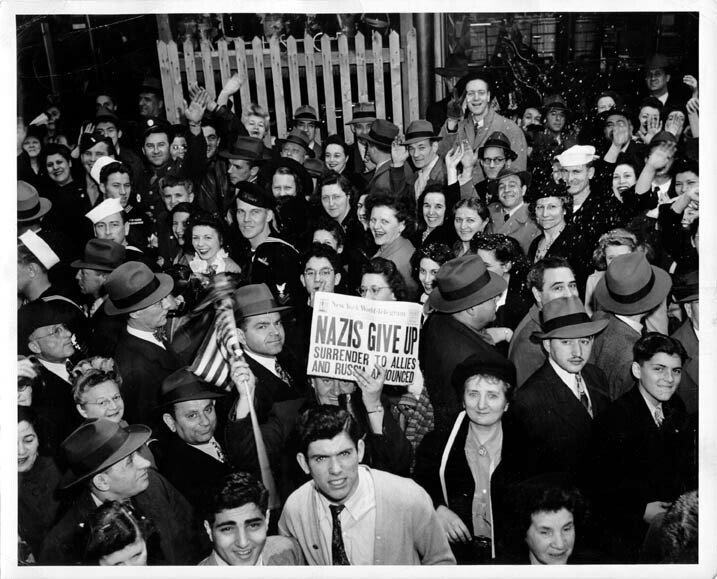 Email gsutter@zer0.org if you have further information about these photographs. 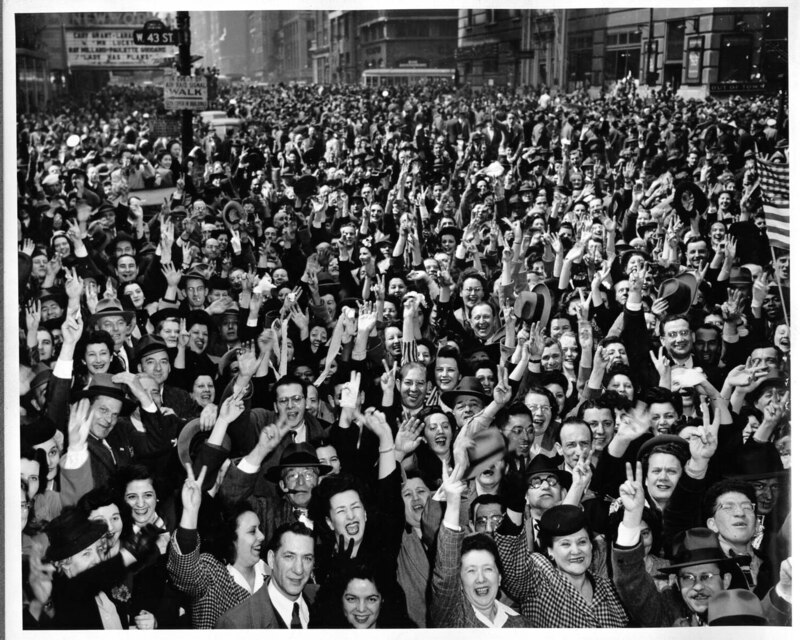 All rights to these photographs are hereby assigned to the public domain.